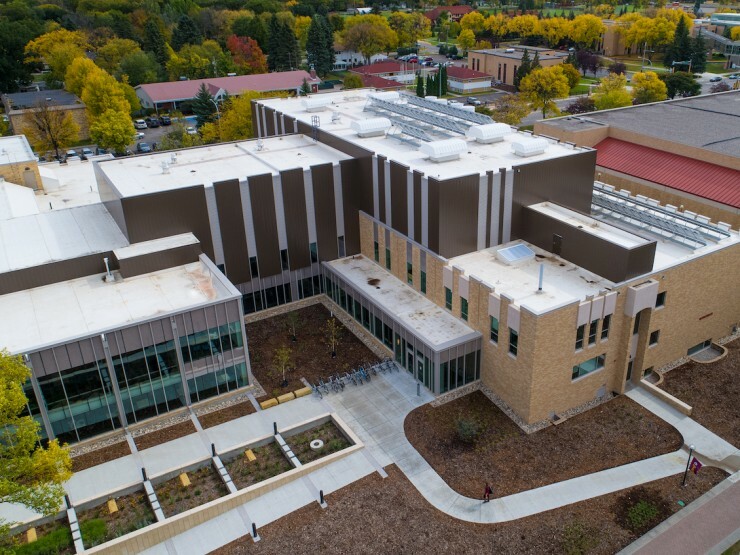 The Integrated Science Center opened its doors in August 2017. 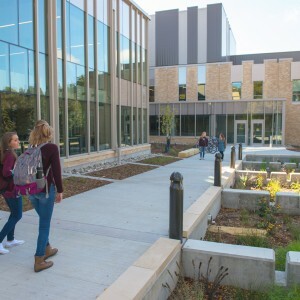 An official dedication was held Oct. 1 as part of Concordia's 2017 Homecoming festivities. 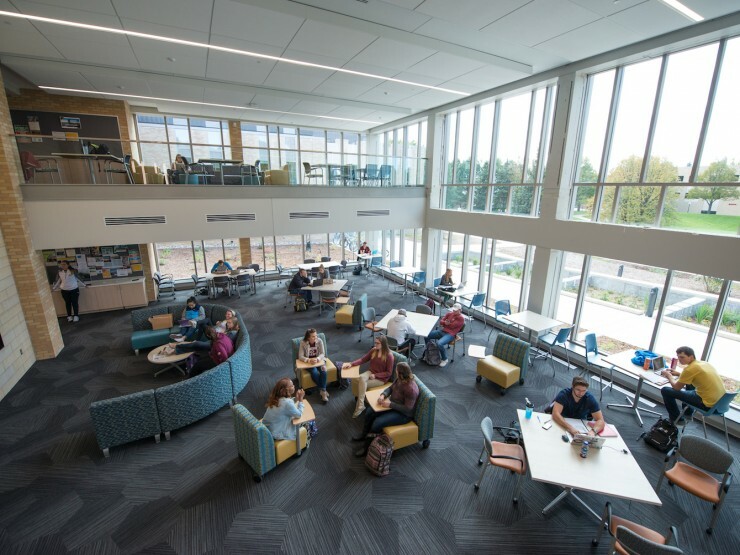 Hear from Dr. Biebieghauser, Professor of Mathematics, why you should love our newly renovated ISC. We demonstrate a commitment to sustainability and have achieved Gold Certification. 90% of the demolition material was recycled post-build. 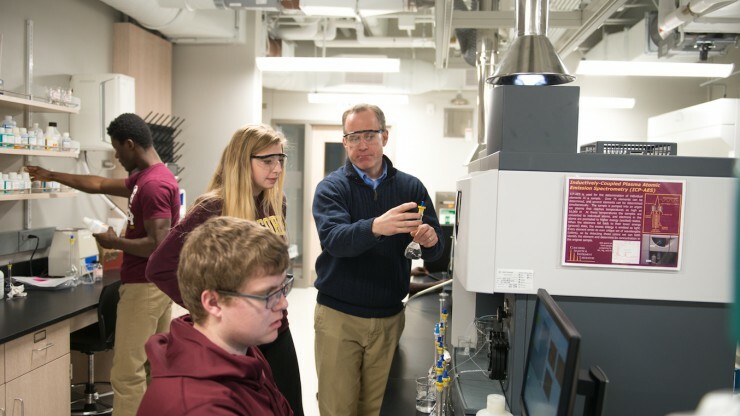 The building budget includes $1 million in new lab equipment. 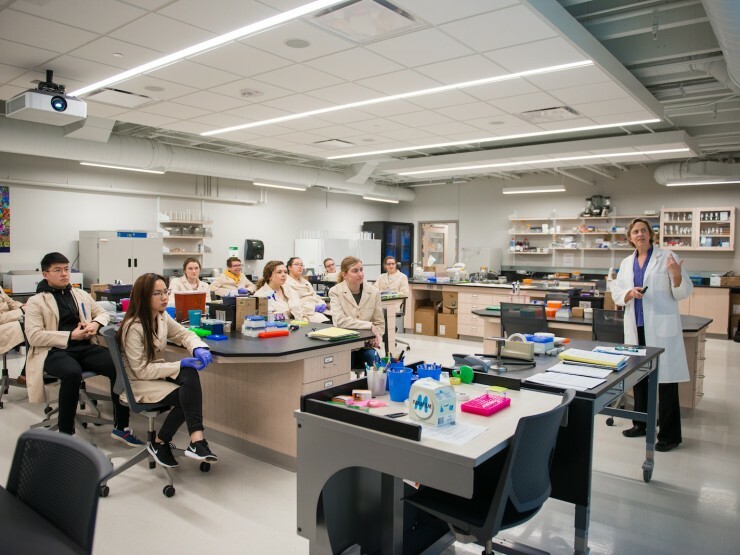 These lab spaces allow us to teach and research in new and different ways. 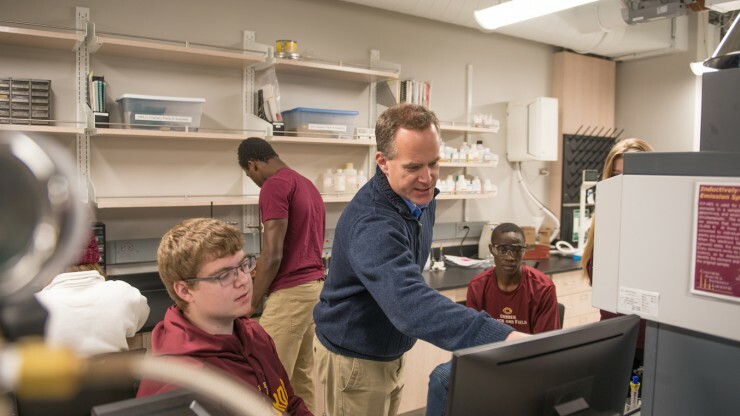 This $45 million project redesigned our facilities to enhance teaching methods and hands-on learning. 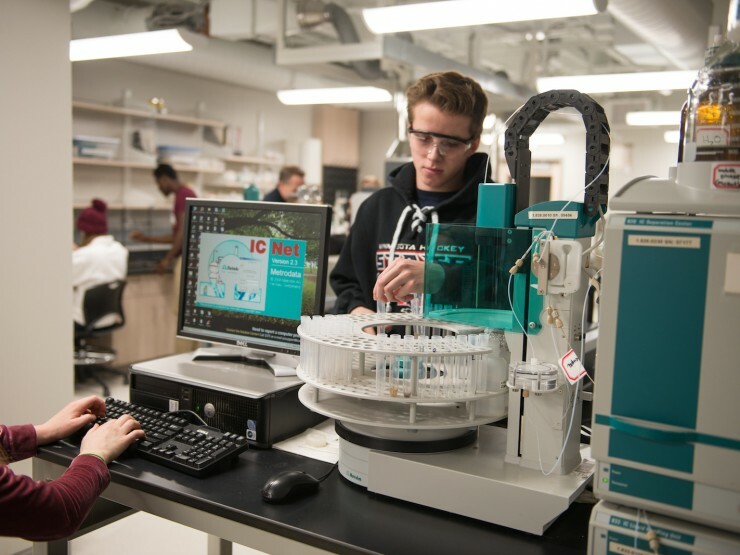 The openness of the Integrated Science Center means that everywhere you go, you see activity – whether it’s in the classrooms, labs, study spaces, or the commons. 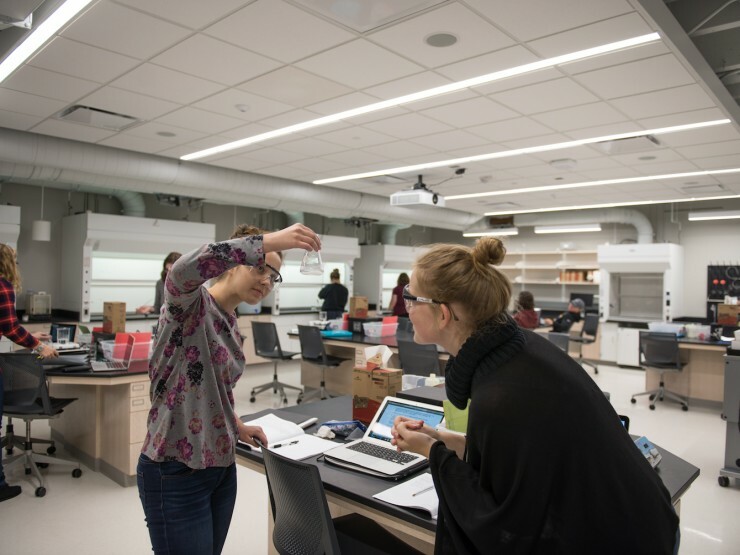 In designing the building, we said we wanted to emphasize ‘learning science by doing science’ and I think we've definitely accomplished that. 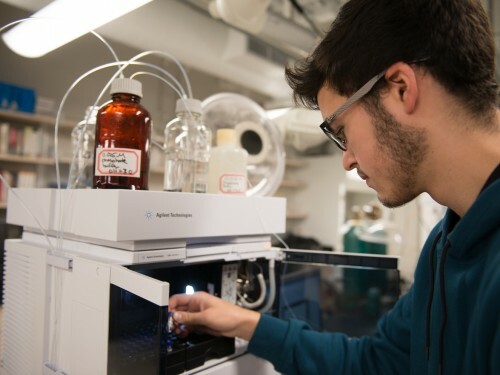 What makes the Integrated Science Center unique? 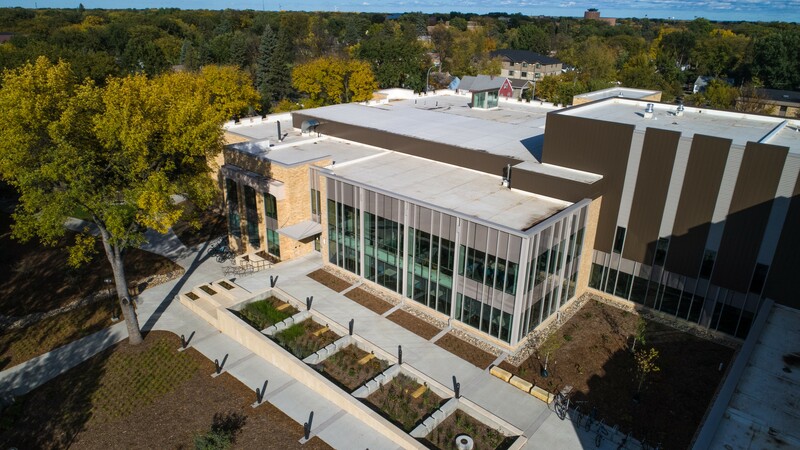 An aerial view of the Integrated Science Center and surrounding Concordia College campus. 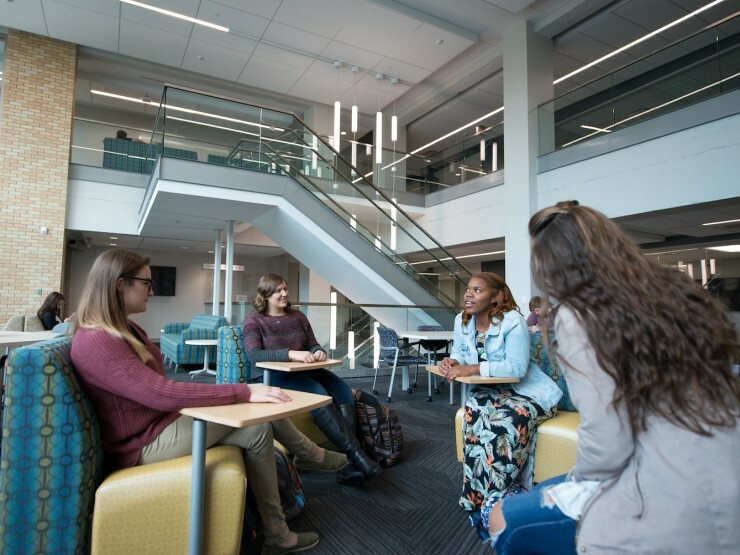 Students study in the ISC's Jolicoeur Commons. 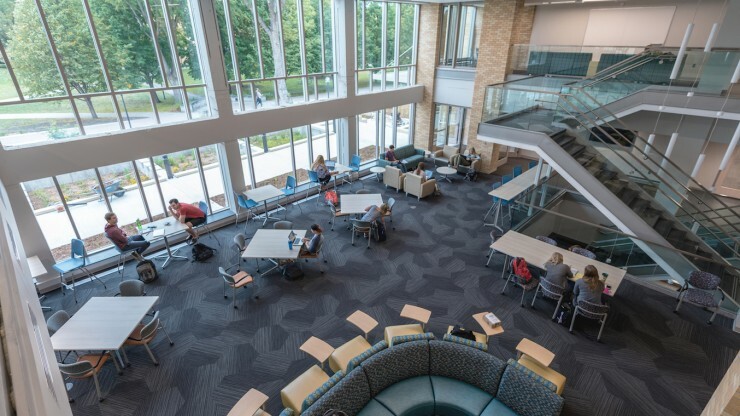 An aerial view of students studying in the ISC's Jolicoeur Commons. 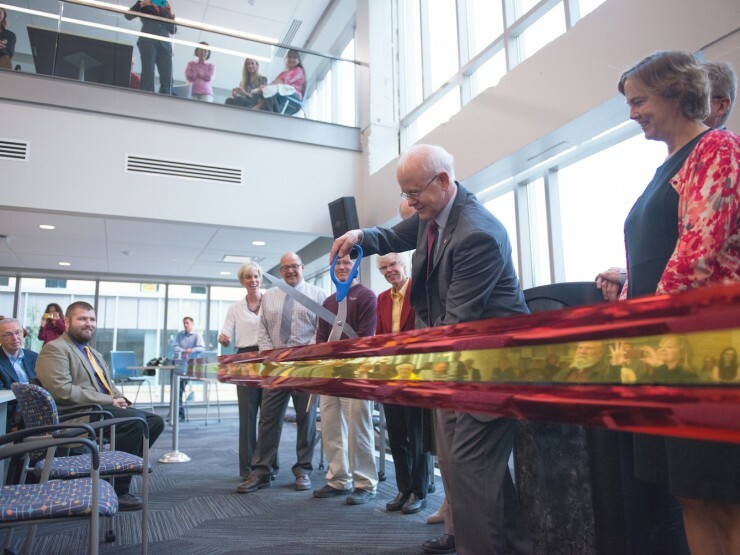 President Craft, surrounded by faculty, staff, students and donors, cuts the ribbon during the Integrated Science Center's dedication in the Jolicoeur Commons. 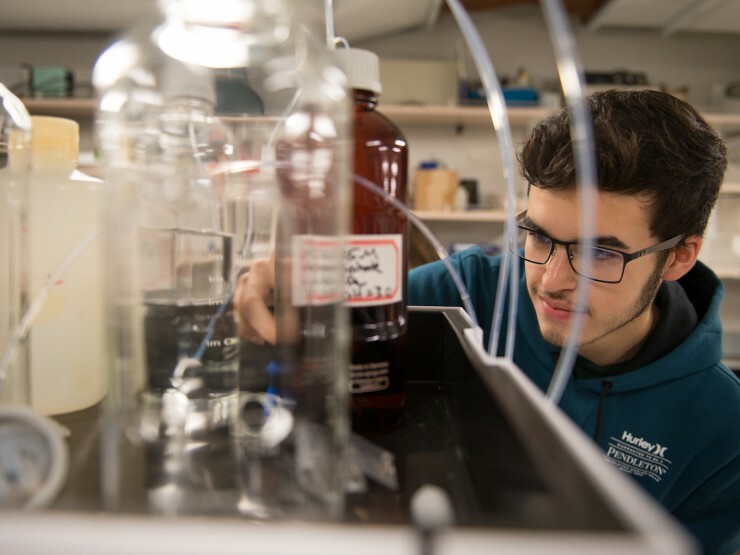 A student works on a lab project. 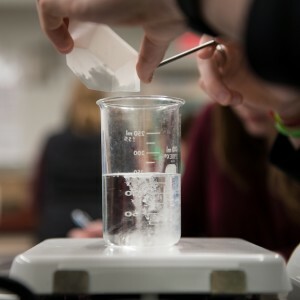 Students conduct an experiment during class. Students listen attentively during a lesson. 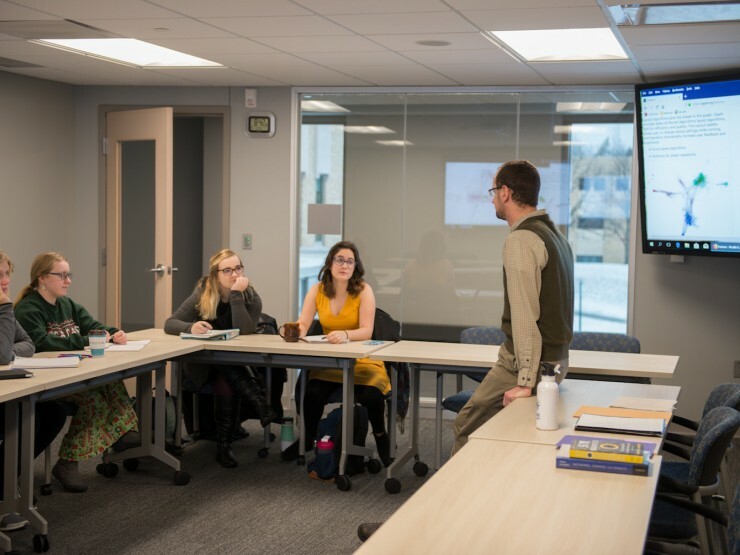 A professor lectures in an ISC Lab. 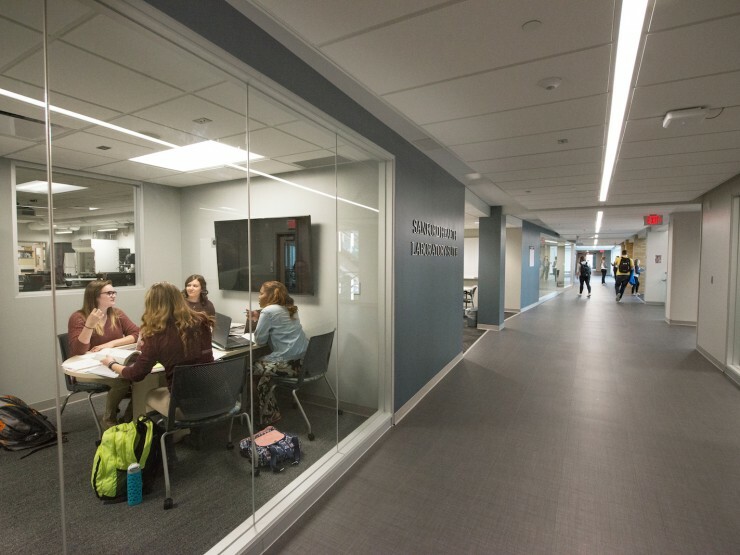 A group of students collaborate in a study room. 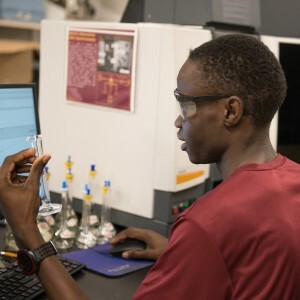 Students conduct research during lab. 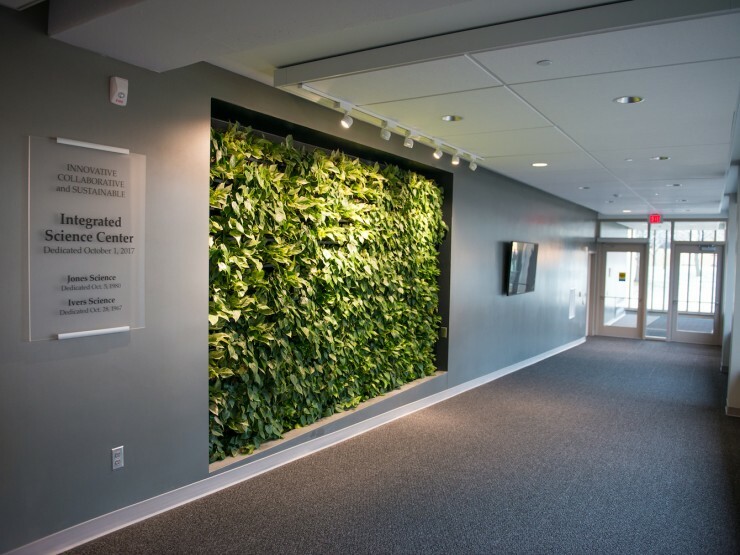 The Living Wall, a component in the ISC's sustainability, highlights an ISC entrance. 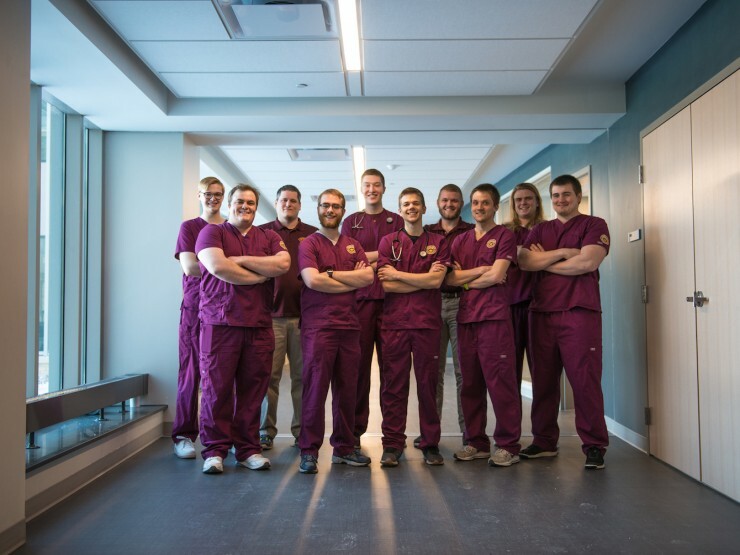 A group of nursing students pose together in the Integrated Science Center.